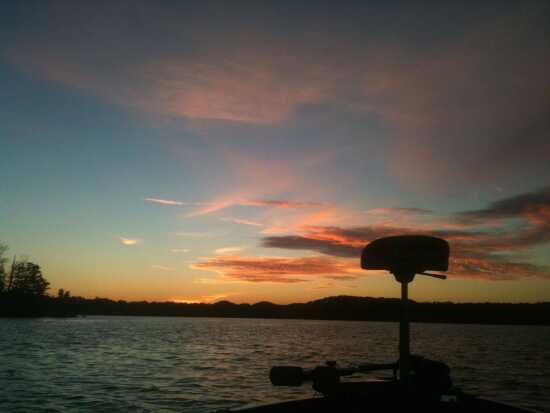 This photo was taken on Table Rock Lake, Mo. Had a good day of fishing and took this picture as we where starting back to the dock. I am retired and I call my boat my office. I sure miss the Ozarks! We moved from there to Sikeston. I need to have my head examined!